The best and worst superhero duo is born! 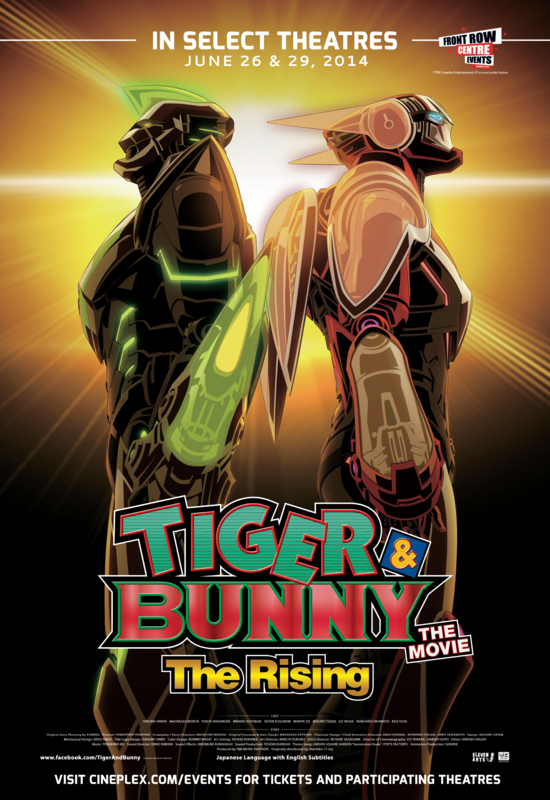 The heroes of TIGER & BUNNY are back in an all-new feature length film! Picking up after the events of the Maverick incident, Kotetsu T. Kaburagi, a.k.a. Wild Tiger, and Barnaby Brooks Jr. resume their careers as heroes fighting crime in HERO TV’s Second League. 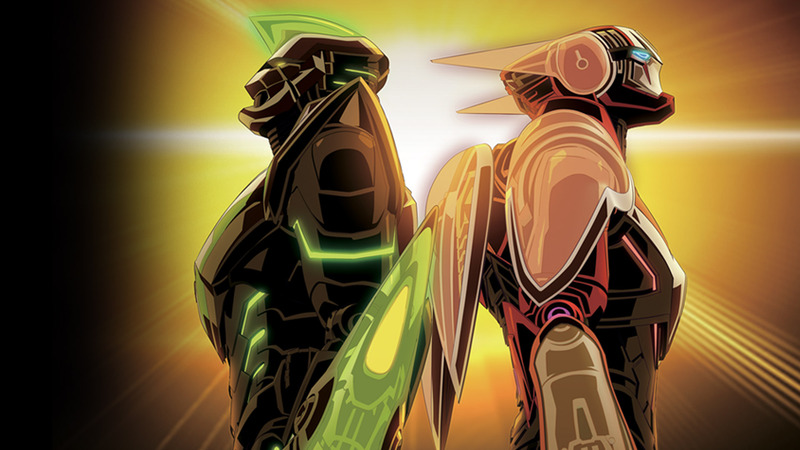 Their partnership comes to a sudden end when Apollon Media’s new owner Mark Schneider fires Kotetsu and moves Barnaby back into the First League, pairing him up with Golden Ryan, a new hero with awesome powers and a huge ego to match. When the heroes are sent to investigate a string of strange incidents tied closely to the city’s Goddess Legend, they discover three super powered NEXTs plotting to bring terror and destruction to Stern Bild. With the lives of millions hanging in the balance, Barnaby and Golden Ryan must overcome their differences to contain the approaching doom, while a jobless Kotetsu’s resolve as a hero is put to the test as he struggles to help his fellow heroes from the sidelines.